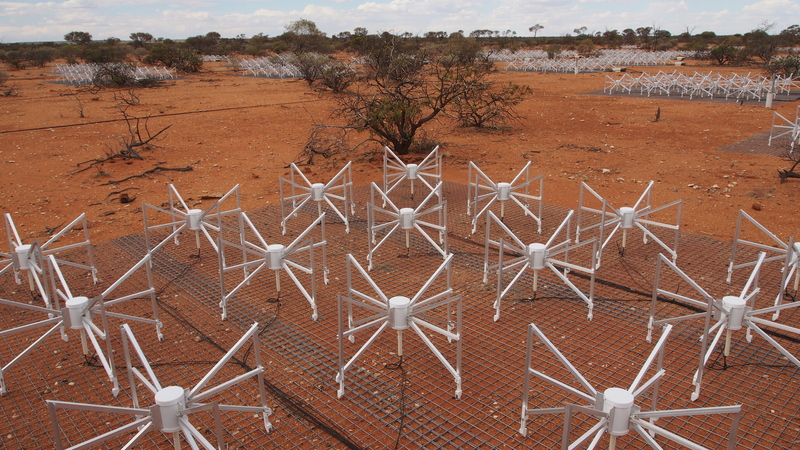 4 March 2013, Murchison Radio-astronomy Observatory, Western Australia – The first Murchison Widefield Array (MWA) Call for Proposals is now open, from March 1 to May 1, 2013. The proposal template is available from http://mwatelescope.org and should be read in conjunction with the MWA Announcement of Opportunity (AO), available from the same URL. The MWA, an SKA precursor instrument, is a next generation low frequency radio telescope, located on the pristine site of CSIRO’s Murchison Radio-astronomy Observatory in Western Australia. This first Call covers the observing period designated 2013-B (July – December 2013). A total of 600 hours of observing time is available during this period, as detailed in the AO documentation (in the Guaranteed Time and Director’s Discretionary Time categories – note that no Open Access allocation is available in 2013-B). July, 2013: observations for 2013-B commence.